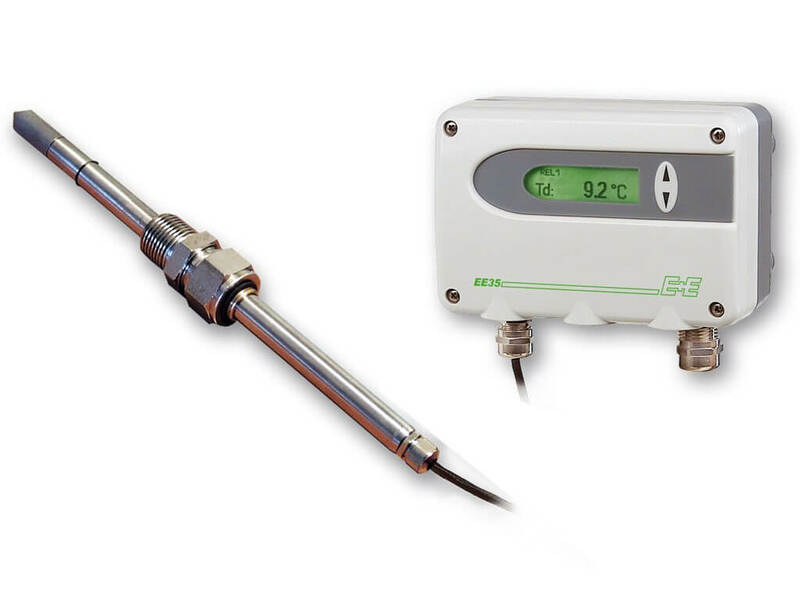 The EE35 dew point and temperature transmitter is ideal for accurate measurement of low dewpoint teperature in demanding applications such as drying processes or compressed air monitoring. Best reliability and long term stability are ensured by the auto-calibration procedure in combination with the well proven E+E humidity sensors. 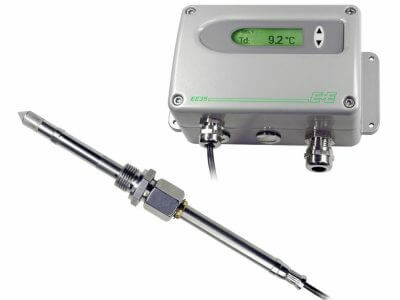 The auto-calibration adjusts periodically the EE35 dew point transmitter without disturbing the industrilal process, and leads to an accuracy of ± 2 °C (±3.6 °F) Td down to -60 °C (-76 °F) Td. Two freely configurable and scalable analogue outputs are available for the measurement values dew point (Td), frost point (Tf) and temperature (T). An optional relay output provides an alarm signal when the dew point threshold set with a potentiometer is exceeded. The optional display and the associated MIN/MAX values allow for a quick status check in the field. With the optional ball valve the sensing probe can be mounted and dismounted without process interruption.